Copper Uncorked is a wing challenge, and I wanted to check it out—it was a different event at a ski resort, because it was not focused on skiing or riding. I was a little thrown off because I’ve watched wing challenges before, and they’re focused on who can eat the greatest amount of spicy wings in the shortest amount of time. But when I found out this Copper event was driven by wings made by the resorts’ chefs, I was fascinated. REI and Copper Mountain are at the top of my list of endorphin-inducing places. REI for getting me outfitted, prepped and excited for my outdoor shenanigans, and Copper Mountain for being my ultimate outdoor playground. 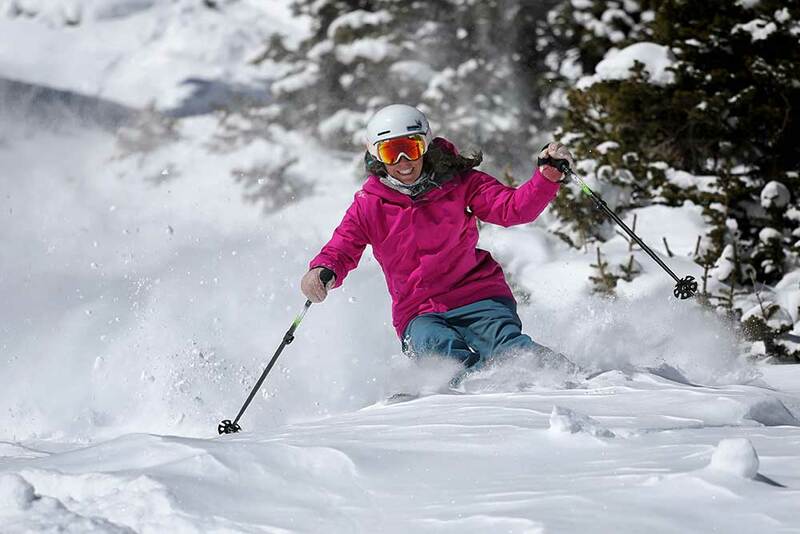 Lucky for us they’ve joined forces this season to create some unique and fun adventures to give us even more ways to play on the mountain and make our brains happy. Recently I had the opportunity to join the REI Rendezvous Snowshoe Happy Hour, one of their many intriguing adventure offerings, after a fantastic day of skiing. I took comfort in the knowing, sympathetic half-smile on my ski instructor’s sunbaked face when I told him the birth of my skiing career consisted of girlfriends dropping me at the top of blue and black runs at Copper Mountain 15 years ago and giving me a “good luck, you’ve got this, just follow us” pat before vanishing downhill.